This rich hot chocolate is sure to keep you warm and toasty all through the chilly winter season. I was raised drinking hot chocolate from a packet, so I understand the draw of hot chocolate in two minutes with two ingredients and two steps. However, the packet isn’t the only answer to quick and easy hot cocoa. Let this recipe be proof that you can have the incredible flavor and texture of real chocolate without any extra time or effort. I add a touch of lavender to mine because I’ve been in love with lavender and chocolate together since 2008 when I worked on aromatherapy chocolates. This hot chocolate is perfect without extras, but if you’re like me, a little spice goes a long way toward making snuggly winter treats all the more decadent. Try cinnamon, ginger, coffee beans, vanilla, cardamom or nutmeg in place of the lavender–just customize the amount you like. Add milk and lavender to a 2-cup measuring cup (or other microwave-safe vessel), stir and microwave on high for 2 minutes, or until milk just starts to boil. Remove from microwave and whisk in chocolate chips. Whisk for 1 minute or until there are no longer large particles of chocolate. 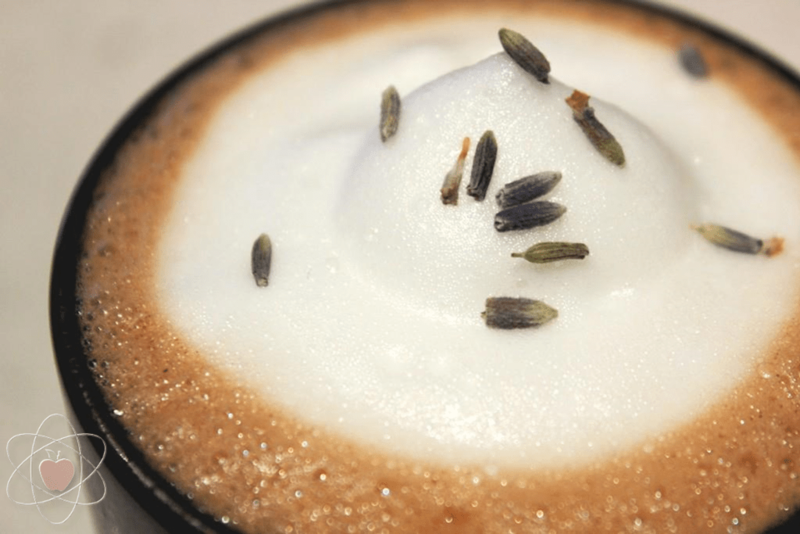 Strain into a mug (skip the strainer if you’re not using lavender). To make the foam topping, microwave 2-4 Tbsp of milk until it starts to boil, then whip with a milk foamer. 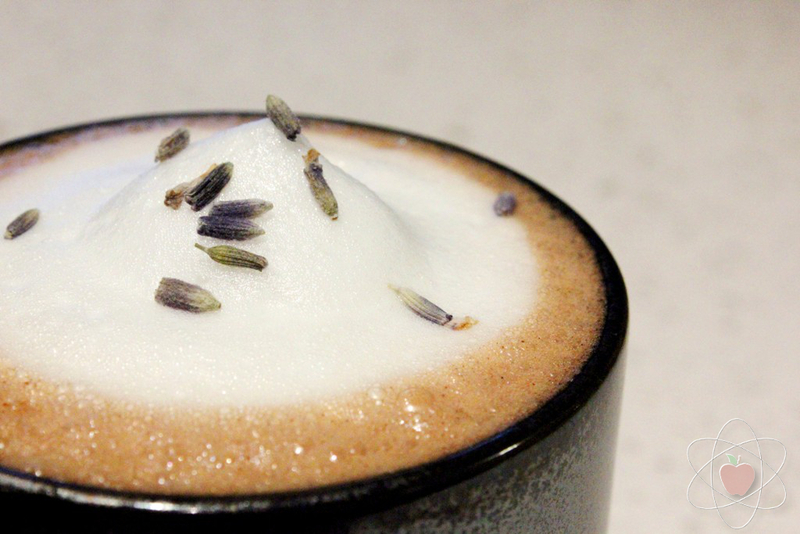 Scoop foam onto hot chocolate and sprinkle with a few lavender buds for garnish. Makes 1 mug of hot chocolate. Happy sipping! If you’re looking for something a little lighter on the waistline, try my Vanilla Spice Milk, originally posted two years ago.